Net-Noggin specializes in providing advanced information technology capabilities to augment and enhance our clients' internal skill sets. Our efforts center around Microsoft technologies, complimented by our partnerships with top of the line manufacturers of premium solutions that extend from the LAN through the enterprise and Internet. Coupled together, our expertise and our partnerships with industry leading solutions in infrastructure, security, virtualization, continuous data protection and messaging ensure on-time and on-budget project completion - done right the first time. Net-Noggin presents a holistic approach to your project and environment, and can even provide Microsoft Official Curriculum Training on the latest Microsoft technologies, empowering you to reliably support your enterprise. Intense information technology tasks like architecting Microsoft Active Directory, migrating Exchange Servers, deploying firewall & VPN solutions, effectively deploying virtualization, ensuring a secure web surfing environment, keeping your inbox spam-free and developing your corporate web presence require enhanced skills and experience, and these tasks shouldn't be left to unproven consultants. We arrive onsite with enhanced knowledge and experience, ready to serve. We consult using an "over the shoulder" approach - we encourage our clients to observe and participate in what we are doing, providing a skill set transfer that enables our clients - and prevents them from having to pay for every little thing they want to do. Our Microsoft Networking and Internet Consulting Services are second to none. We bring experience, extensive knowledge, a friendly attitude, the ability to communicate simply and clearly and a willingness to pass our knowledge to you. How to fix E000FE30 - A communications failure has occurred in Backup Exec. 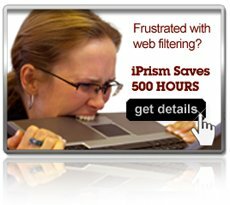 Independent research confirms iPrism Users spend 50% less time on Web Filtering compared to Websense and SurfControl. Net-Noggin attends VMware Midwest Demo Days, further strengthing its partnerships in virtualization and storage. Net-Noggin successfully promoting the latest amazing discounts available on iPrism web filtering. Net-Noggin partners with Juniper Networks, distributors of enterprise class switching, firewall and SSL-VPN appliances, expanding our reach for our clients. Net-Noggin partners with DoubleTake Software, distributors of market-leading server failover and continuous data protection solutions, providing affordable protection and alternatives to expensive, hard-to-manage cluster configurations. Net-Noggin is just one of those VAR's that you really need to experience. Gary is an excellent instructor, he provided customized personal MS-Exchange Training for several of our Exchange Engineers, tailored to our needs, and in doing so we were able to save Time and Money. This company is unique and provides an excellent Quality of Service. Netnoggin has been providing technology and services for our company in a cost effective approach for over 10 years. Whether it is Training of any sort, Email and Spam, or MS-Exchange concerns, we truly have a partner with this company!